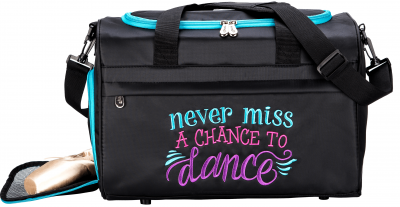 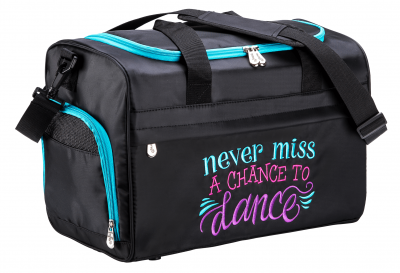 “Never Miss a Chance to Dance” Duffel features a colorful embroidery design on our 16″ square duffel. 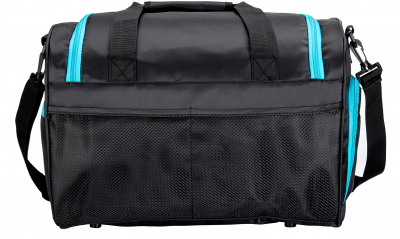 This bag has multiple inside and outside pockets and a separate shoe compartment to separate shoes from other items. 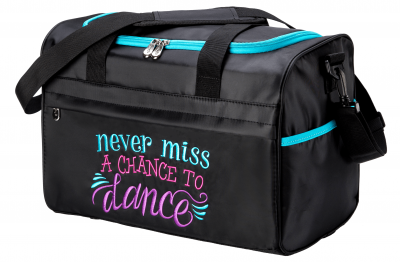 Matching teal trim adds to the “pop” value! 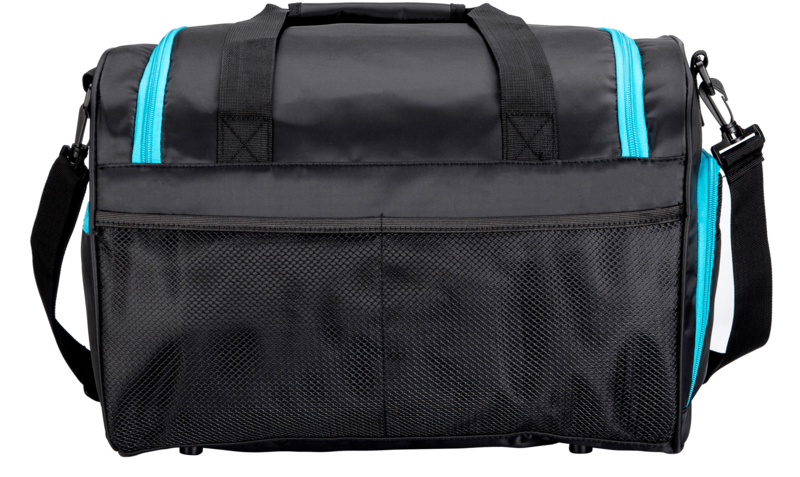 Microfiber material can be wiped clean with a damp cloth. Can be personalized.